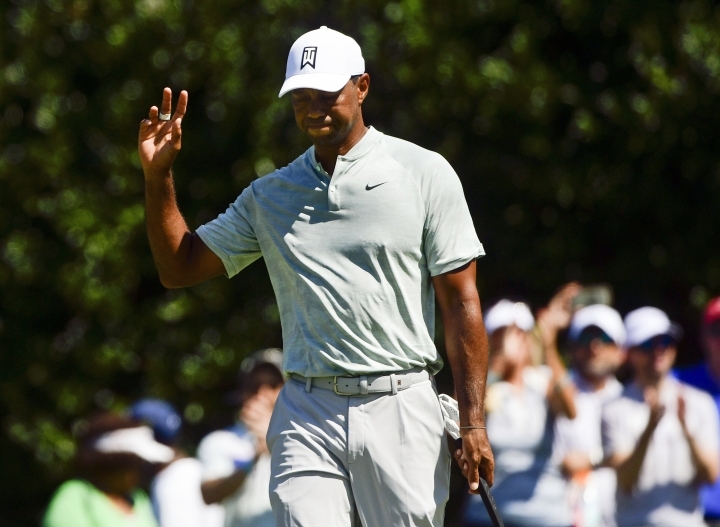 ATLANTA — For thousands of fans crammed into every corner of East Lake, it looked as though Tiger Woods was closer than ever to capping off this remarkable comeback season by winning the final PGA Tour event. 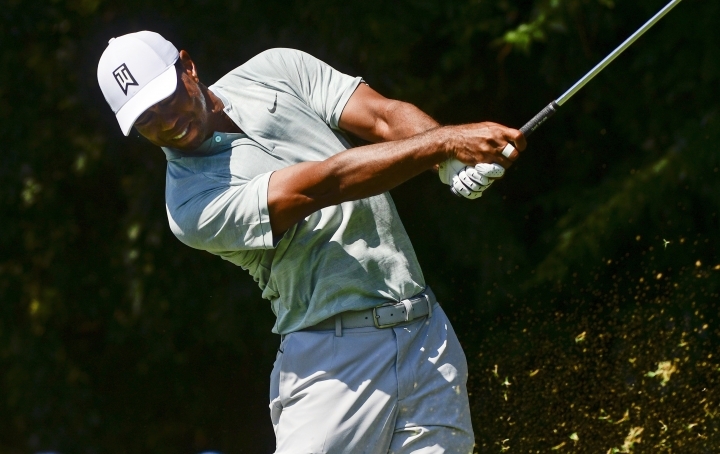 Four straight one-putts on the back nine Friday in the Tour Championship — three for birdie, one for par — offset a double bogey and gave Woods a 2-under 68 and a share of the 36-hole lead for the first time in three years. Not since Doral in 2013 has he been atop the leaderboard after each of the first two rounds. He's the one coping with Bermuda rough deep enough to hide all but the top of a golf ball, with greens that are slick and firm and with a golf course that is the most demanding test players have seen this side of a major. "We have a long way to go," Woods said. "And this is not an easy golf course." For so much of the second round, even as he struggled to keep the ball in play, Woods was making it look that way. He appeared to be building separation against the 30-man field with that four-hole stretch on the back nine that he capped off with a 25-foot birdie putt on the peninsula green at the par-3 15th. But then a tee shot into the rough led to a plugged lie in a bunker and a shot he had to play away from the 16th green, leading to double bogey. 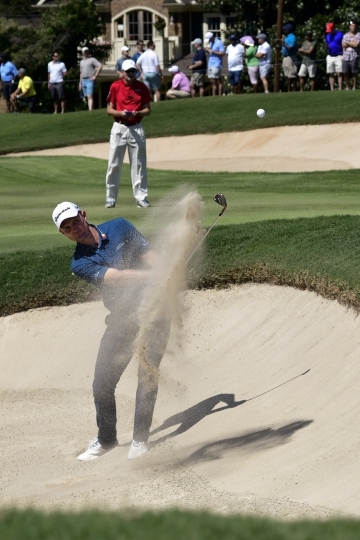 A two-putt birdie on the final hole gave him a share of the lead with Justin Rose. They were at 7-under 133. Rose, in his debut at No. 1 in the world, played in front of Woods and could hear all about it with an enormous gallery. He birdied three of his last six holes to offset a bogey for a 67. "Playing with him versus playing in front of him today, I think it was just big crowds no matter what," Rose said. 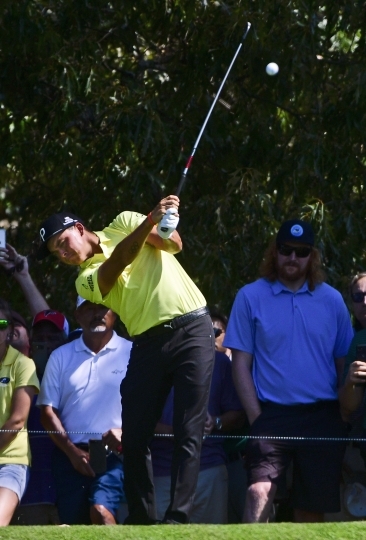 "Obviously, people are excited about watching Tiger play again. ... It's exciting for people to get a look at him back at his best and it will be fun to be play with him." 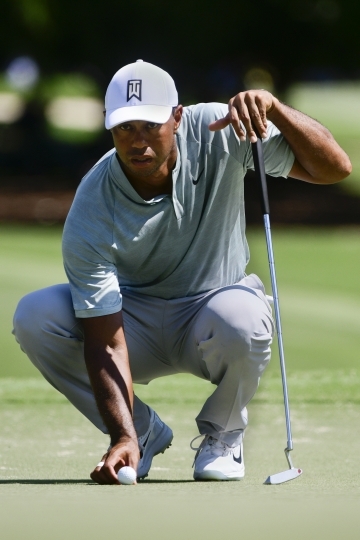 Woods last shared the 36-hole lead at the Wyndham Championship in 2015. He wound up in a tie for 10th, and then was gone from the PGA Tour for the next 17 months while he recovered from two back surgeries. One more back surgery followed that brief return in 2017, and it's been a slow road back. Jon Rahm and Rickie Fowler also had at least a share of the lead at some point, only to lose ground. It was a slow bleed for Fowler, who went birdie-free over his last 12 holes and shot 39 on the back nine for a 72 that put him four behind. It was a sudden drop for Rahm, who took bogey from the rough on the 14th hole and then put his tee shot into the water on the par-3 15th for a double bogey and a 68. Rahm was three behind at 136, along with Billy Horschel and Patrick Cantlay, each with a tournament-best 65, and Justin Thomas, who hit tee shots all over East Lake and somehow managed a 69 to keep alive his bid as the first back-to-back FedEx Cup champion. Thomas only has to win to capture the $10 million prize. 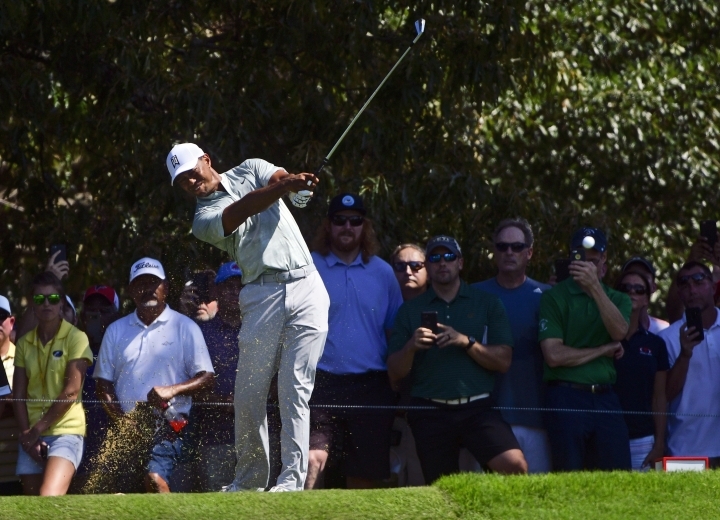 Woods had a two-shot lead when his tee shot on the 16th nestled down in the rough. He thought he could gouge it out of the rough and over the tree to just short of the green, but he misjudged the lie. It came up short into a bunker some 50 yards short of the green, plugged so badly in the side that he couldn't do anything but blast out slightly behind him. A flip wedge to 12 feet and two putts later, he was back in a tie with Rose. 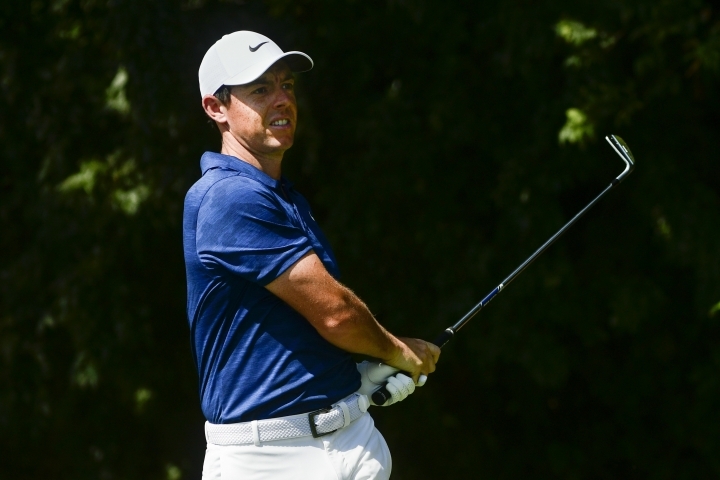 Rose is coming off a playoff loss at the BMW Championship last week, and as the No. 2 seed in the FedEx Cup is in the best spot to win the $10 million bonus. Bryson DeChambeau, the No. 1 seed, shot 75 and was 13 shots behind.